Nishi Enterprise is among the best Gear Coupling manufacturers, suppliers and exporters in the global market. The Gear Couplings are flexible and can be used for transmitting high level of torques. The Gear Couplings that we offer consists mainly of two hubs along with crowned external teeth as well as two outer sleeves fitted with the internal spur teeth. We only make use of high quality raw materials for making our gear couplings. 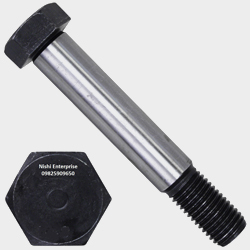 Each and every Gear Coupling product that we provide comes with robust construction. 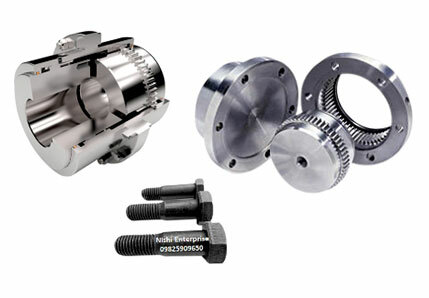 At Nishi Enterprise, we also provide all Gear Coupling components to our customers at the best competitive price. Our company is known for supplying top quality and robust mechanical power transmission components such as Gear Couplings to buyers both in India as well as abroad. We can also provide our buyers with custom services so that they can work on their industrial needs. The hubs are created by using EN-8/EN-9 forged materials. We provide with the best quality spares for gear couplings that are made from the EN-8 materials. Heat treatment can be done based on customer request. The teeth cuttings are created by maintaining the D.O.P./SPAN for the required sliding tolerances. The parts are wholly inter-changeable. All the casings are created from EN-8/EN-9 materials. We can provide top quality Gear Couplings that can be used for a broad range of applications in industries such as steel plants, cement plants, power plants, sugar mill plants, metal rolling plants, rolling mills, mining hubs, crane manufacturers and marine plants as well as chemical and fertilizer plants. 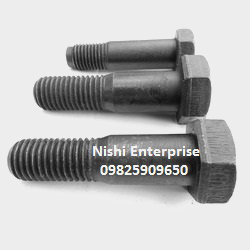 So the next time you decide to buy Gear Coupling, do not hesitate to call us at Nishi Enterprise as we can provide you with the finest products.